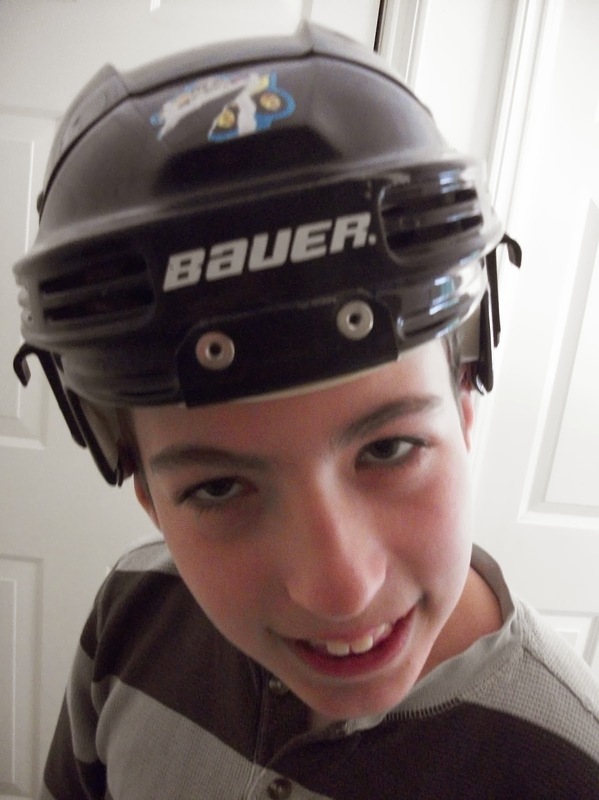 My son Nicholas is 12 years-old. Although he is in the sixth grade, he possesses the spirit of a child who is much younger. He delights in watching preschool television programs, admiring the colorful cartoon characters like Dora the Explorer and Diego the Animal Rescuer. I believe the genius programmers working at Nickelodeon have actually achieved a kind of kid's television nirvana. They seem to have secretly extracted information from the depths of my young child's mind and created super kid heroes who spend their days traveling on adventure-filled expeditions rendering life-saving assistance to hurt animals and sad children. It is as if these television creators have turned our flat screen into a giant crystal ball. This magic square window grants them direct access to the malleable mind of my impressionable boy. Like a drug addict seeking crack cocaine, Nicholas is hooked....but good. Nickelodeon's latest new kid's series entitled, Paw Patrol, features a hardy group of backpack carrying pups. 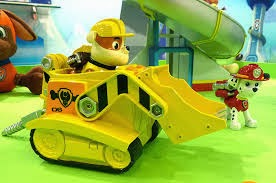 These brave rescuers drive a variety of heavy equipment vehicles, sending my awestruck automobile and animal aficionado into a gasping and breathless type of kiddie coma. It is not unusual to hear Nicholas singing along with this lively litter of puppy police. "Paw Patrol, Paw Patrol, whenever you're in trou-ble. Paw Patrol, Paw Patrol, we'll be there on the dou-ble!" I believe Nick's choice of rescue-related programming is contributing to the development of a kind spirit and an altruistic mind set. In fact, if you combine his obsession for action adventurers with the recent safety drill training he received at the elementary school, perhaps you would not be surprised to see this super sleuth junkie transformed into the New Rescue Hero of our House. As you may know, we recently acquired a kitty who has quickly grown into a full-sized cat. This rapid growth however, has been accompanied by some unusual behaviors. Our feisty feline seems to have developed a sadistic streak. He delights in playing a game of Hide and Pounce Warfare, a kind of Hunger Games for cats. He has become an emotionless destroyer of dogs and humans. A kitty-sized serial killer hiding covertly behind bookshelves or furniture, stealthily waiting for a chance to viciously pounce on an unsuspecting family member or our poor panicky pooch. He has bitten and scratched unprotected arms, legs, ankles and the wagging tail of our horrified hound. This aggressive behavior has disturbed the kind-hearted Nicholas. But fear not dear friends, for our little hero is quick to take his cue from a rather long list of favorite cartoon caricatures. My Rescue Hero Wanna-be has designed a strategy to protect the entire household from the warmongering antics of our militant mouser. This morning, I was in my bedroom preparing to take Nick to school, when I was startled by a loud sound. 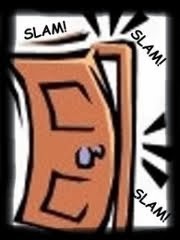 SLAM......went the sound of Nick's bedroom door closing tightly. Just Nick closing the door too hard, I thought to myself and carried on with what I was doing. I hurried out of my bedroom door only to find the cat streaking down the stairs in a frenzied bolt of flying black fur. The cats quick exit, a desperate attempt to escape from my safety-savvy son, who was in the midst of quickly slamming all the bedroom doors. This dramatic action, a carefully planned preparedness training procedure designed by Nicholas to deter the malevolent marauder from further maliciousness. "It's lockdown Mom," he barked with a calm, yet assertive tone. "Why are we in lockdown?" I asked, trying very hard not to laugh as the new Self-appointed Safety Sheriff began his first ever trial-run. "We have to protect ourselves from Flash. We need to be ready. You know Mom, sometimes people and CATS can hurt us."